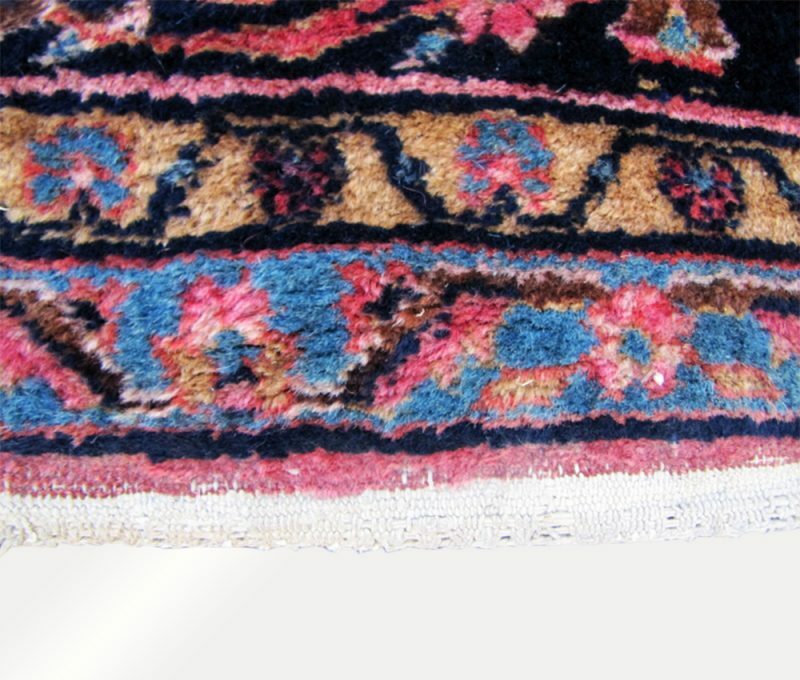 This week we will list several rugs from an estate in Williamsport Pa all the rugs are from 1900-1910 all these rugs had a pro clean and shampoo last year and they look clean and ready to use if you like you can send them for cleaning. 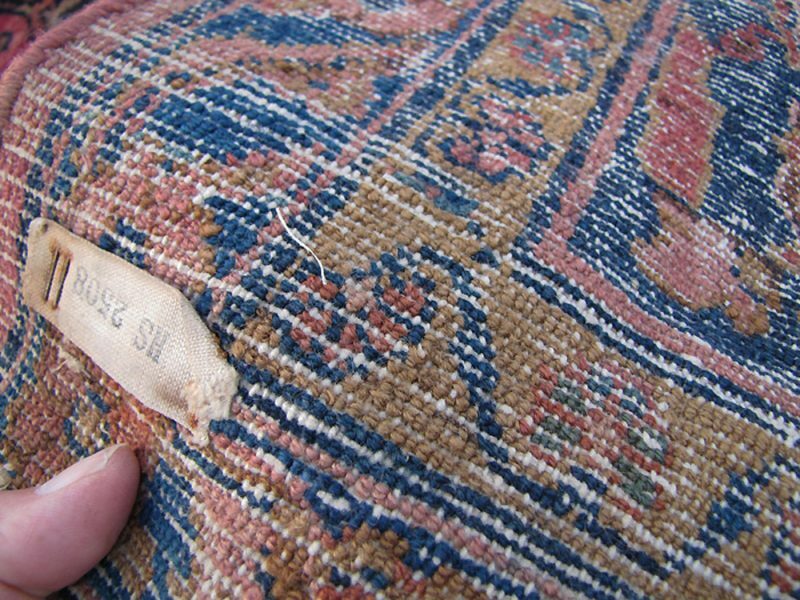 This rug is complete with no any missing rows. 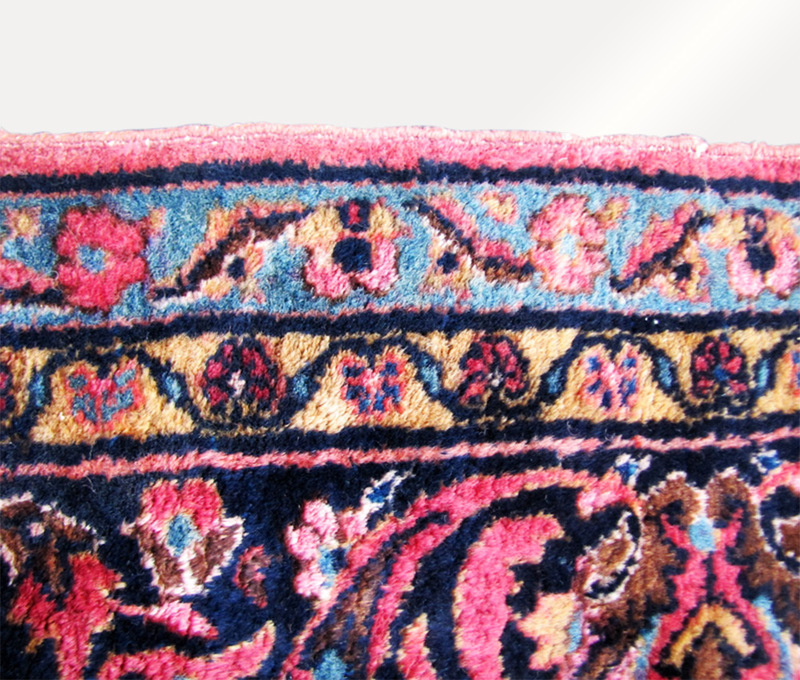 one side with complete flat weave which it’s rare to find in 1910 Lilihan also the weave is better than normal Lilihan weave, you can see in the picture. 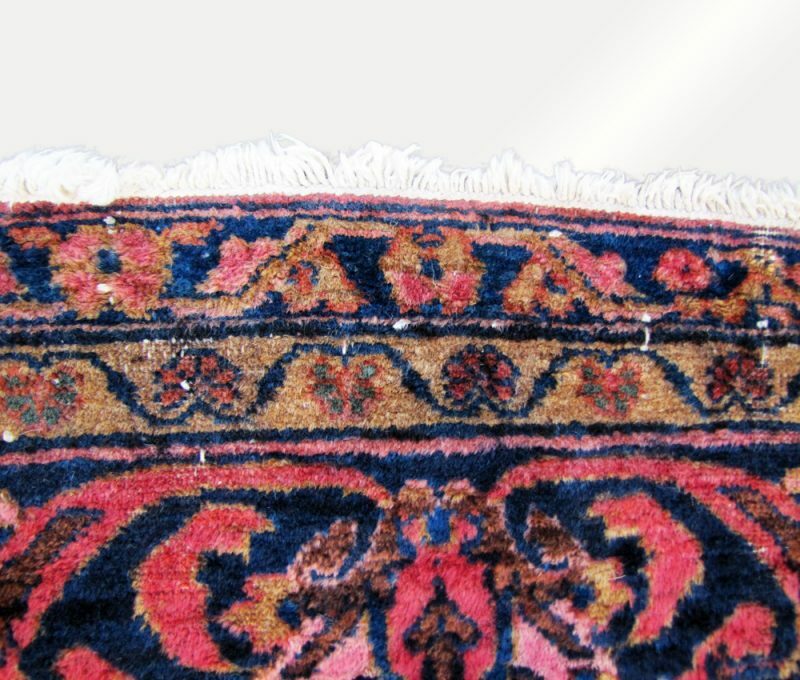 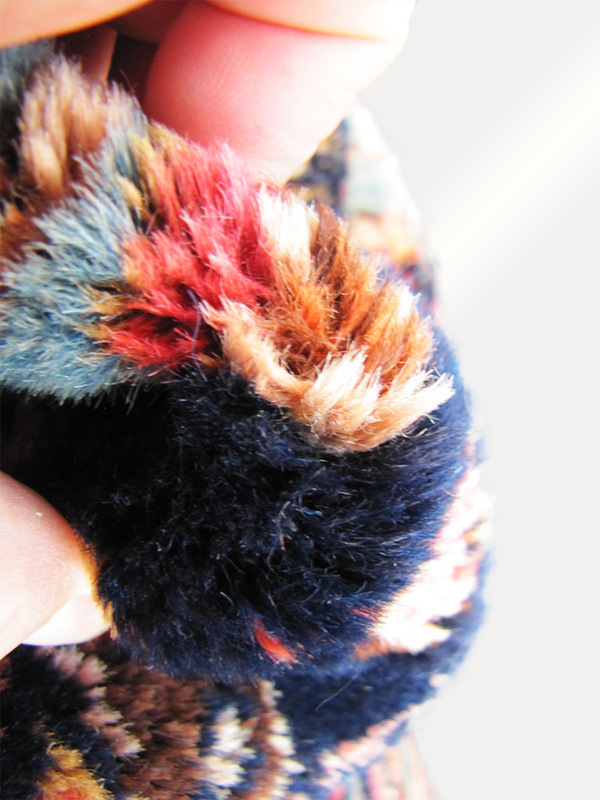 The rug had a low pile on one end and can be seen on images, on one end the flat weave is still present and in perfect shape. 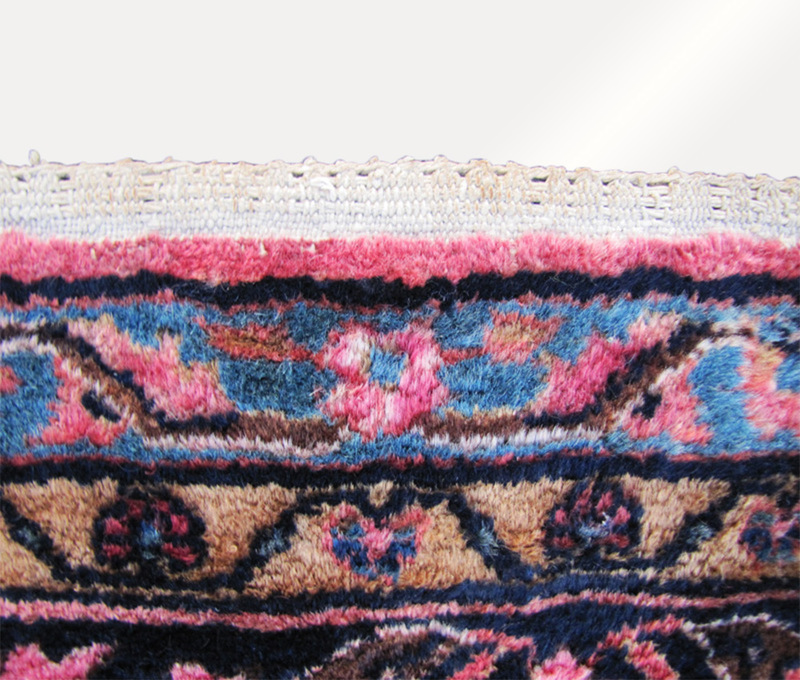 Every village in Persia (Iran) had its own weave and design. 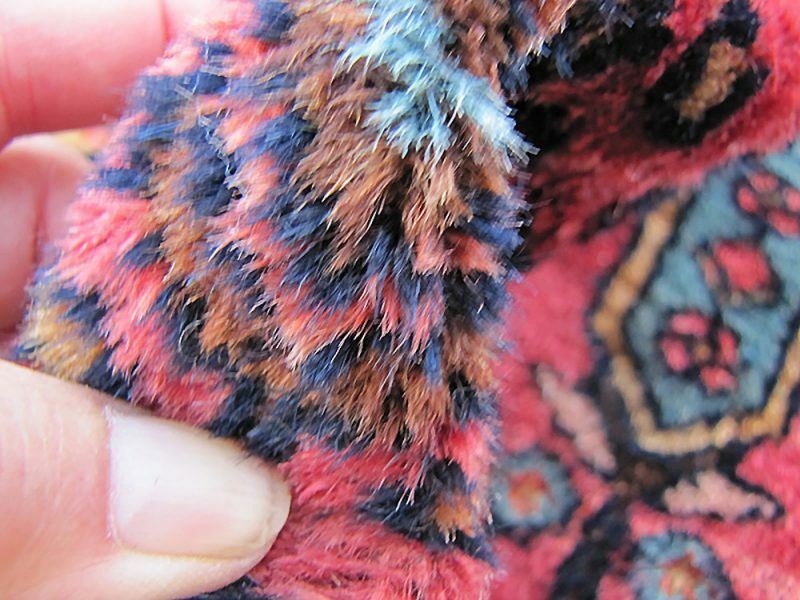 Lilihan is the Village name. 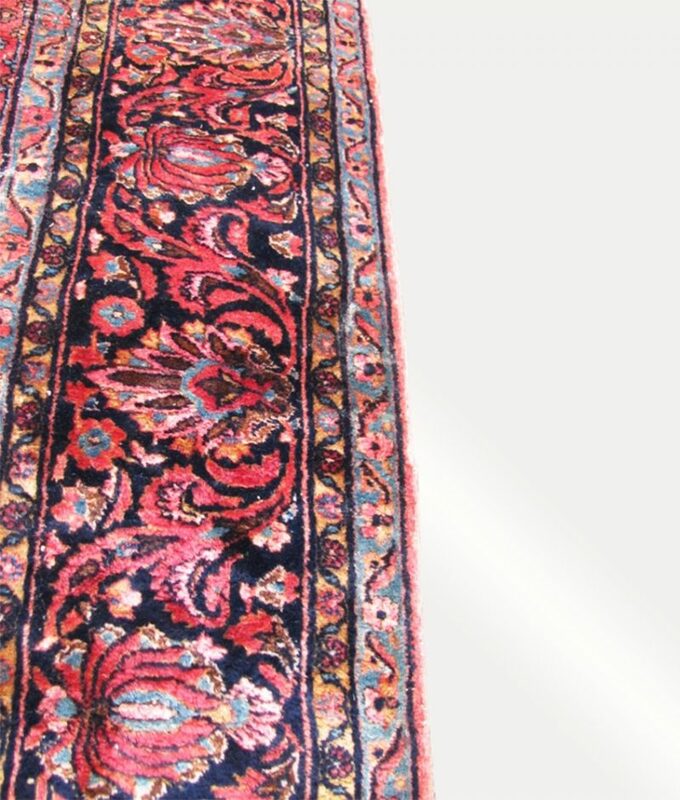 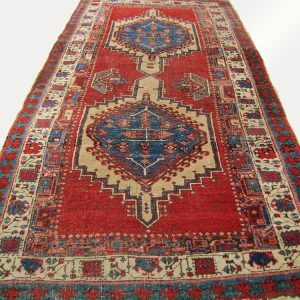 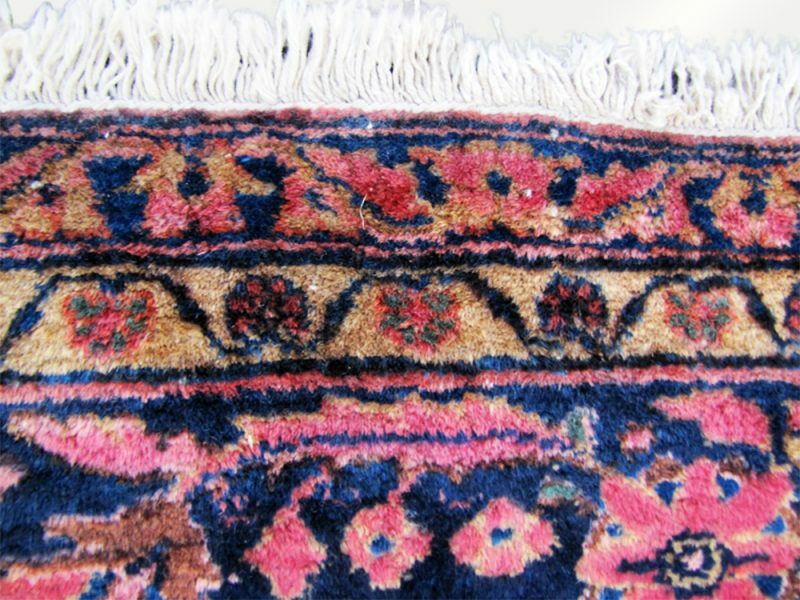 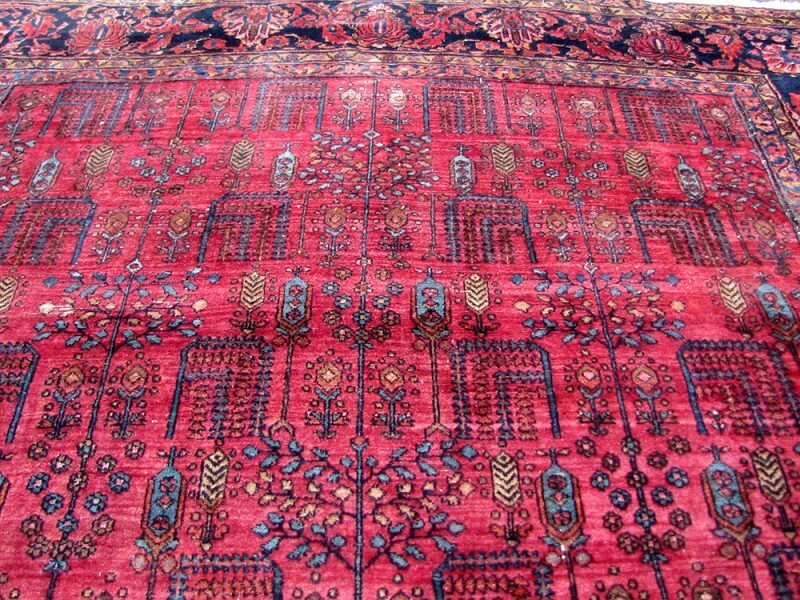 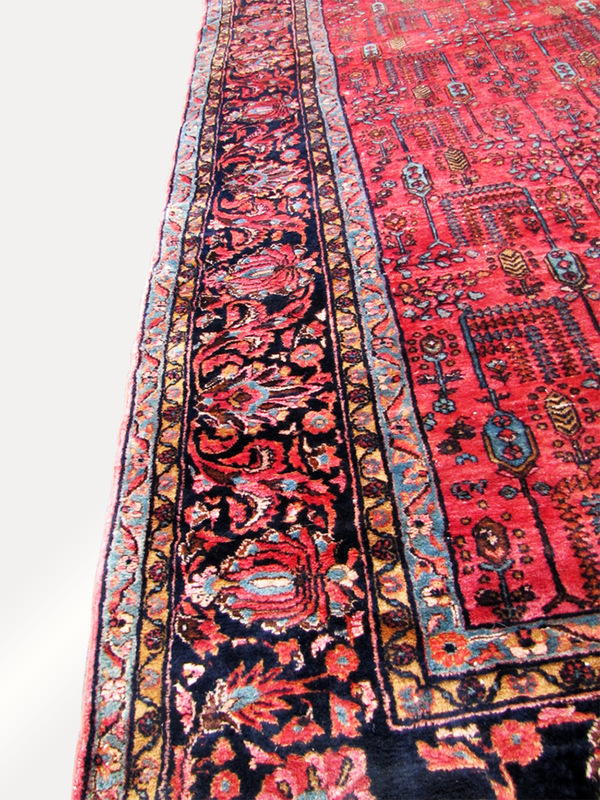 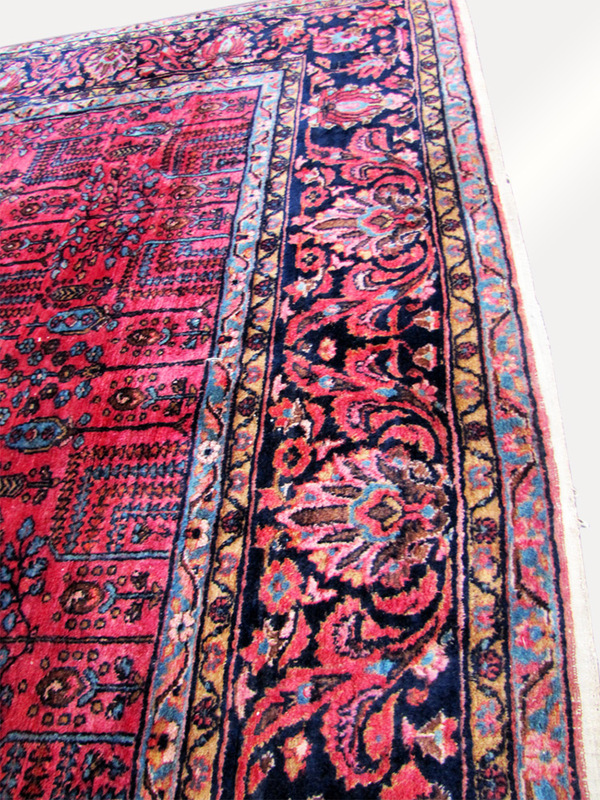 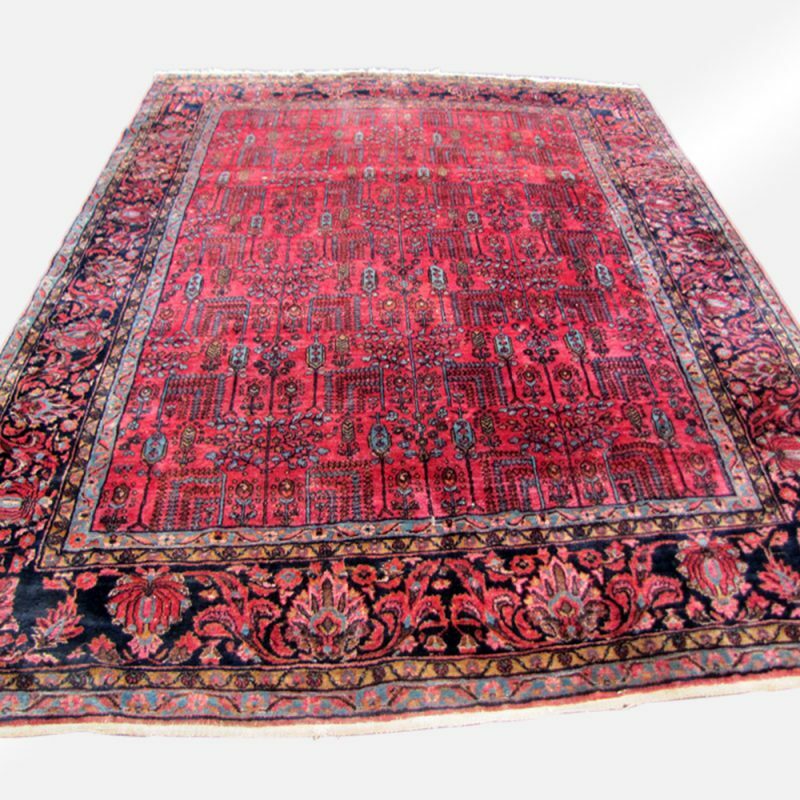 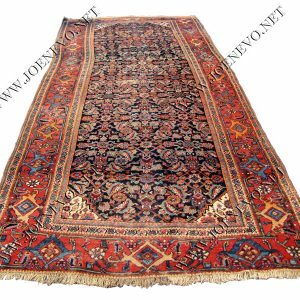 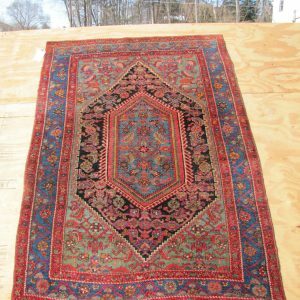 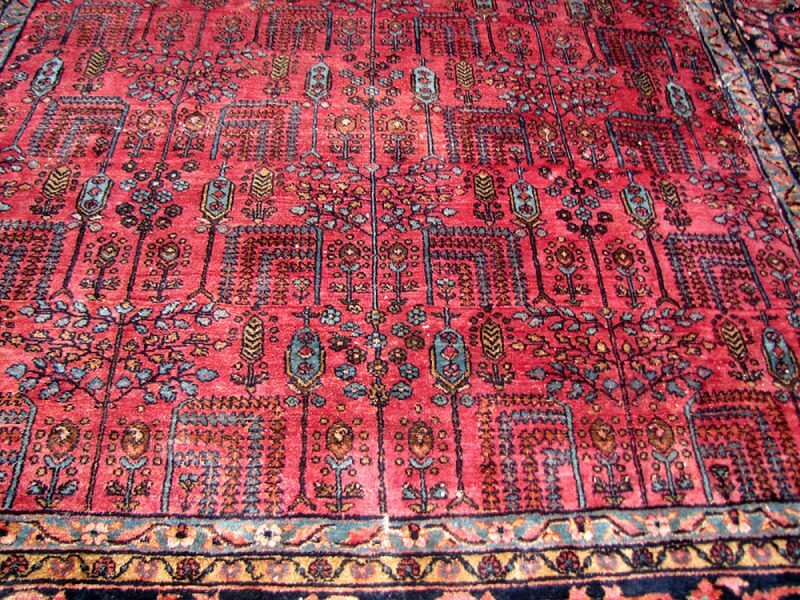 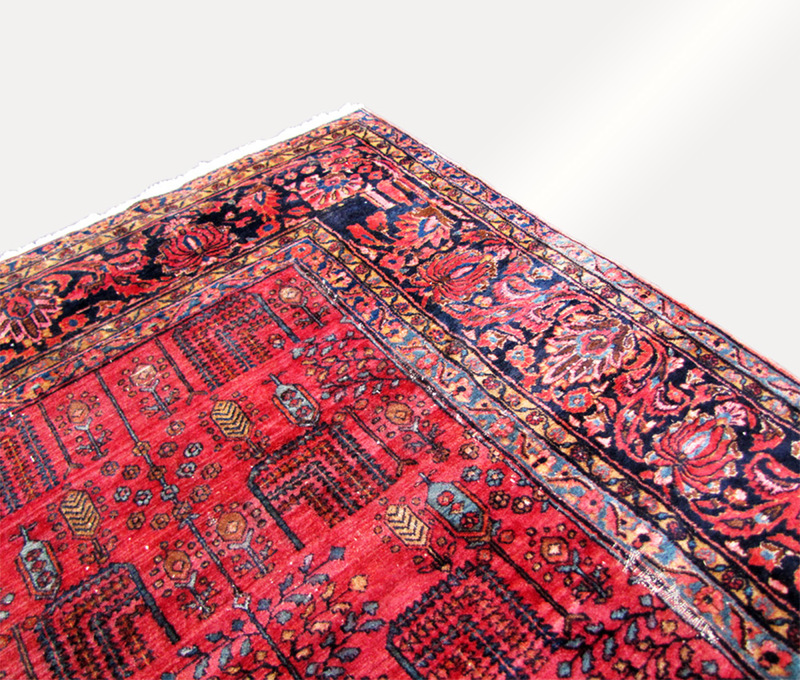 This rug is real ANTIQUE and estate rug and not like most the rugs we see listed as “antique” they are low-end Persian used a rug with a chemical wash to make them “Antique” to fool the buyer. 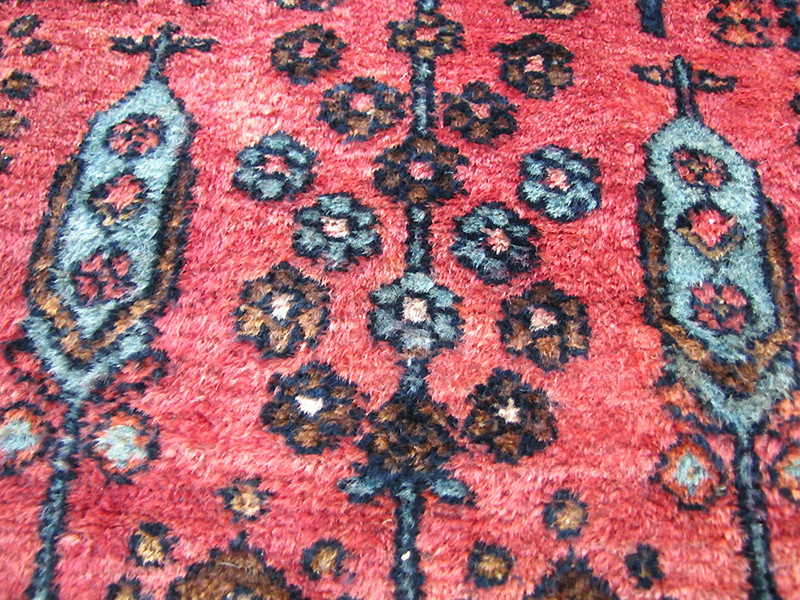 THIS RUG IS WITH PILE AND WITH NOT ANY MISSING, MOST RUGS LIKE THIS RUG ARE ALL WORN OUT. 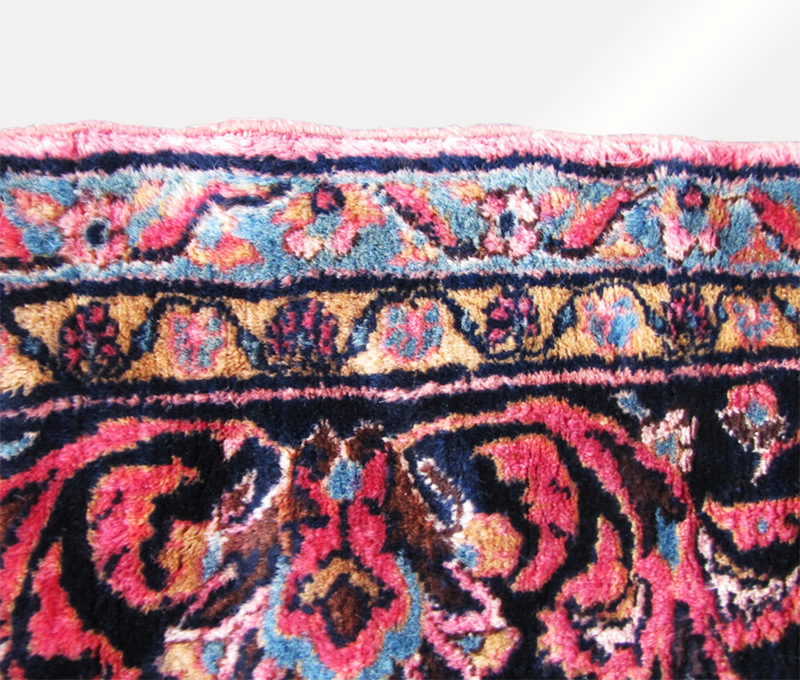 Watermelon background with Navy border with light blue, pink, yellow, brown.